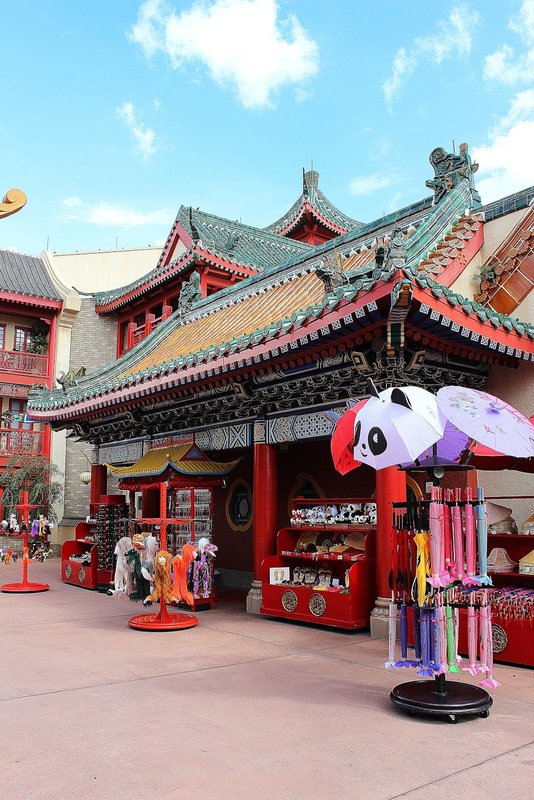 This month’s spotlight will take us into the third stop on our World Showcase Tour – China! The China Pavilion hosts one of the most beautiful and visually stunning architectural structures in World Showcase. 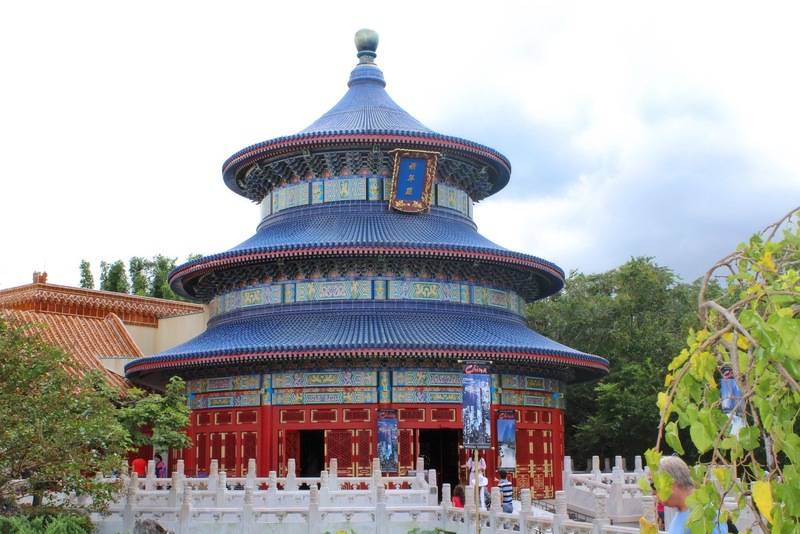 The Hall of Prayer for Good Harvest is a rounded, three tiered, colorful tower that is the centerpiece of the pavilion. Beautiful flora and ponds surround walkways that lead you to this magnificent building. Inside of the Hall of Prayer is a Circle-Vision 360° movie presentation known as “Reflections of China.” The show introduces guests to the lifestyles, cultures and beautiful scenery of China, including looks at the Forbidden City in Beijing and the Great Wall. Along with Reflections of China, guests can learn more about the country’s history by visiting the Tomb Warriors: Guardian Spirits of Ancient China exhibit, located in the House of Whispering Willows gallery. A replica of soldiers found in the tomb excavation of Xi’an, China is here for guests to see, along with more displays and documentation from the famous discovery. Not only is the China Pavilion rich on history, but shopping as well! Outside is a kiosk named Good Fortune Gifts. 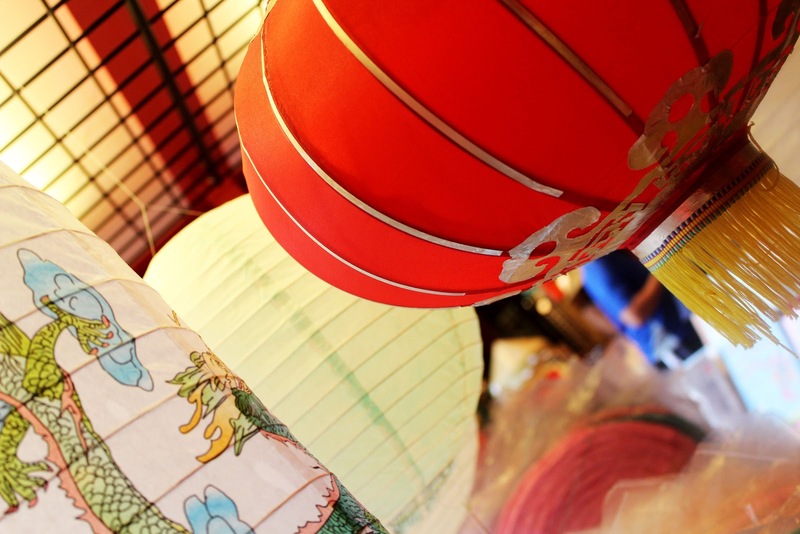 Here you can purchase toys, parasols, puppets and other fun gifts for yourself or someone back home. Inside of the pavilion is a much larger store, known as “The House of Good Fortune.” Toward the front, Chinese apparel, jewelry and accessories line the walls and racks. Trinkets, toys and treasures can be found toward the middle. Toward the back you can find more cultural inspired gifts such as lanterns, wind chimes and wall décor. This is one of my favorite places to browse in World Showcase! If you’ve worked up an appetite by the time you’ve reached China, there are some dining options here to help! The Lotus Blossom Café is a quick service restaurant serving both lunch and dinner. Menu items include shrimp fried rice with an egg roll, pot stickers, orange chicken with rice and sesame chicken salad just to start. Beef noodle soup, beef rice bowls, as well as pork and vegetable egg rolls are some other menu options. The little ones can have their own sweet and sour chicken with steamed rice. For a more relaxed meal, try dining at the Nine Dragons Restaurant. As the Lotus Blossom Café does, Nine Dragons serves both lunch and dinner table service. For starters, spicy beef, fragrant chicken, walnut shrimp toast and pot stickers are on the appetizer menu. Entrée menu options include kung pao chicken, sweet and sour pork, fragrant five-spiced fish and Chinese chicken salad – just to start. When you visit the China Pavilion, be sure to have your camera and autograph books ready! Throughout the day, the beloved Mulan can usually be found outside of the Hall of Whispering Willows. Also keep an eye out for the Jeweled Dragon Acrobats performing arts group. The Jeweled Dragon Acrobats perform throughout the day Mondays through Saturdays (except for Thursdays) at the entrance to the China Pavilion, however they will be leaving Epcot and moving to Broadway soon! With so many wonderful things to discover at the China Pavilion, it’s not hard to feel that you’ve left Florida and were placed into the actual country. The beauty, detail and atmosphere here are a wonderful experience. What is your favorite part of the China Pavilion?